CDG Certification Limited provides "Certificate of Conformity" for different countries. We provide CoC for : Saudi Arabia, Kuwait,Qatar,Kurdistan,Lebanon,Kenya,Uganda,Egypt,Tanzania,Algeria,Botswana,Ethiopia,Libya & many other countries. Nigeria requires all regulated products imported into the country to be assessed and to conform to the requirements of the Standards Organization of Nigeria Conformity Assessment Program (SONCAP). Under SONCAP, all regulated products intended for import must undergo a PCA in their country of origin. A SONCAP Certificate (SC) is issued for each shipment of the goods covered by the Product Certificates, and this is required for customs clearance. The Federal Government of Nigeria introduced the Standards Organisation of Nigeria Conformity Assessment Programme or SONCAP for short in order to address the number of unsafe products entering the country and the subsequent risks to public health and safety. 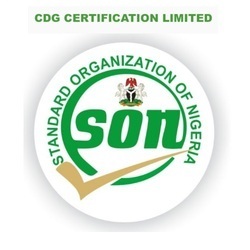 In 2013, we were appointed by the Standards Organisation of Nigeria (SON) to issue these certificates. Our mandate allows us to accompany exporters and importers throughout the conformity assessment process, and assist them in obtaining the necessary Product and SONCAP Certificates. Cotecna is a trusted partner to the Nigerian government. Our mandate covers the physical inspection, sampling and testing of goods at laboratories accredited as per ISO 17025. Machinery (or related spare parts) destined for use by bonafide manufacturers*who intend to use this for their own manufacturing purposes. They are advised to apply to the SON for a SONCAP import permit. · Machinery (or related spare parts) destined for use by bonafide manufacturers* who intend to use this for their own manufacturing purposes. They are advised to apply to the SON for a SONCAP import permit. SONCAP will enhance the protection of the Nigerian consumer from unsafe and sub-standard products. In addition, it will help Nigerian manufacturers to compete on a level playing field with imports since it will help prevent the import of products which are often cheaper due to their non compliance with safety standards. The SONCAP has to be enforced by the SON Enforcement Unit. 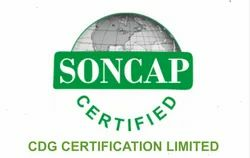 The presentation of SONCAP Certification, which consists of a Product Certificate and a SONCAP Certificate will be the means through which the SONCAP will be enforced. Both of these items are mandatory clearance documents for Regulated Products in addition to any PSI documentation. CDG helps you in getting SONCAP certification in India. We provide you SONCAP certification in least possible time & very competitive fee. Every exporter has to apply to a CB (CDG will help you in application process) or accredited Lab in order to get the required (CoC) for goods and products to be exported to Saudi Arabia. The CB or the accredited Lab will issue the required (CoC) and test report based on the requirements of ISO/IEC Guide (65) and the requirements of the product in the related technical regulations and/or standards that issued by (SASO) or determined by (SASO). CB provides SASO with the specimen of the (CoC) intends to issue, provided that it is according to the CoC form shown in this guide, and the names of the persons who are authorized to sign the (CoC) and copy of their approval signatures and (CB) official stamp. The (CoC) is valid only for the shown consignment, and it should not be used for any other consignment. CDG guides you in every step of SASO certification (CoC), so that you can get it in hustle free way every time. The Kingdom of Saudi Arabia requires that all consignments of products to be exported to the country should be accompanied by a Certificate of Conformity (CoC). This testifies their compliance with the applicable standards and technical regulations. This certificate of conformity for Saudi Arabia comes under the SASO standards and is a particular set of rules and regulations that one needs to follow with regards to the product that they are planning on importing or exporting. The Saudi Standards, Metrology and Quality Organization (SASO) Certificate of Conformity (CoC) scheme ensures that all products entering into Saudi Arabia are in conformity with national product safety and quality requirements. 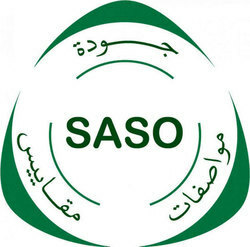 The program is in line with Article 3 of SASO by-laws issued in accordance with Royal Decree No. M/10 dated 03/03/1392H (1972). Safety of consumers and national security. Protecting the morals of the kingdom. Preventing any sort of malice and deception. 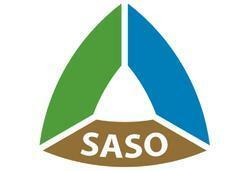 CDG helps in achieving SASO certification in India. The KUCAS scheme is a group of procedures carried out by PAI to verify the conformity of all 'Regulated Products' to Kuwait's Technical Regulations on imported and domestic products alike in accordance with the regulations of this scheme. Exporters/Importers trading with the United Arab Emirates need to comply with the requirements of the UAE Emirates Conformity Assessment Scheme (ECAS) in order for their goods to clear UAE Customs and for placing the products in the UAE Marketplace. Under this scheme, all regulated products must meet the requirements for safety and quality specified in the Technical Regulations adopted by the UAE government. Suppliers with regulated products who wish to enter the UAE market first need to have a local trade license to sell the regulated products in the local market. The ECAS prescribes requirements for quality and safety for regulated products including Cosmetics, Perfumery and Personal Care Products Electrical, Electronic, and Gas Appliances, Machinery, Automotive, Building and Construction and Food designated for consumer use. 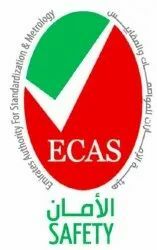 The ECAS certificate is proof that the product has been approved by the UAE Federal Government through ESMA. The EQM is a full assessment scheme and quality mark licensing program implemented by ESMA. The EQM is an approved mark of quality issued for product that can demonstrate compliance to the relevant UAE technical regulations and standards, regional and/or international standards and are manufactured by an organization implementing Quality Management System ensuring continuous compliance. Having a strong local presence in Duabi, UAE, CDG understands clients’ Regulatory requirements right on time and leverages its expertise to deliver end-to-end quality services for the ECAS certification program. Right from seeking product approval in the quickest turn-around-time to obtaining the mark of conformity to post-market surveillance services, Freyr, with its well-established local health authority knowledgebase on ESMA, assists organizations throughout the lifecycle. Contact CDG today for ECAS certification. General Organisation for Export and Import Control (GOEIC) has made it mandatory to get a Certificate of Conformity for exports of regulated products to Egypt. Manufacturers or Trademark Owners of regulated products must register with Egypt’s General Organization of Export and Import Control (GOEIC) by 15th March 2016 to continue to export to Egypt. Initially, the Egyptian government required companies exporting leather and textile goods to the country to be registered with the General Organisation for Export & Import Control (GOEIC). In 2016, the Egyptian Ministry of Trade & Industry expanded the list of products covered by GOEIC among widespread changes to the customs clearance procedures. In order to continue to export to Egypt, factories, manufacturers or trademark owners of regulated products had to register with GOEIC. GOEIC has also confirmed that a Certificate of Inspection must be issued for all regulated product shipments for Customs clearance at Egyptian Ports and Borders. Contact CDG fot 'Certificate of Conformity - Egypt. If you are willing to export your products to IRAQ, now a 'Verification of Conformity", VOC certificate is required. 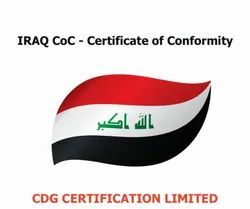 CDG can provide you IRAQ CoC for all your products / exports consignments. This is known as Pre-Importation Inspection, Testing & Certification Program of Goods to Iraq (ICIGI). This Certificate of Conformity is a necessary document to import goods into Iraq and to clear goods through Customs. The ICIGI program is launched by COSQC with the aim of protecting Iraqi consumers, producers, environment, public safety and national economy from using substandard products as well as to restrict the importation of inferior, debased and fake product. Currently, certain HS codes and product types are regulated and required to confirm to the Iraq ICIGI or Kurdistan KSQCA CAP. The certificate of conformity (CoC) required depends on which country region products are shipped to, with some areas of Iraq requiring products to carry a Kurdistan CoC. This change means that for HS Codes or product types that are not currently regulated, a mandatory third-party inspection is now required to apply for certified and legalized country of origin documents. Our expert Iraq and Kurdistan Account Managers are on hand to provide regulatory clarification, arrange third party inspections and hassle free CoC issuance. 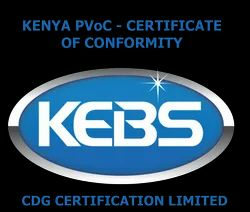 Consumers in order to ensure the quality of the imported products, for Kenya to provide a safe, health, environmental protection, Kenya bureau of standards (KEBS) on September 29, in 2005 began to Export standard conformance Verification plan PVOC before (Pre - Export Verification of Conformity).PVOC products in the catalog must get the certificate of conformity (COC), before shipment to the port for the country's customs, otherwise will not be able to enter.As exceptions KEBS can accept importers application, completion of the arrival of the port inspection in Kenya, but the importer will take 15% of the CIF value of goods, fine 15% deposit as well as the inspection and testing cost. To assure Kenyan consumers of the safety and quality of the imported goods they buy, and to protect Kenyan manufacturers from unfair competition, the Kenya Bureau of Standards (KEBS), a statutory organisation of the government of Kenya, has implemented guidelines called the Pre-Export Verification of Conformity (PVoC) to Standards Programme for exports to Kenya. All consignments which are subject to the Kenya PVoC must obtain a Certificate of Conformity (CoC) issued by an authorised PVoC Agent, such as Intertek, prior to shipment. The CoC is a mandatory document for Customs Clearance in Kenya; consignments arriving at Kenyan Ports without this document will be denied entry into the country. Issuance of CoC or Non Conformity Report (NCR) as appropriate. Exporters and importers are responsible for ensuring that their products and shipments fully comply with the Kenya PVoC and obtain the mandatory PVoC CoC. KEBS: Ensures that only quality goods gain entry into the country, as specified by the Standards Act Cap 496, Laws of Kenya and the Quality Imports Order No.78 July 2005, thereby offering the necessary protection to Kenya's consumers in safety, health and environmental matters. CDG is a leading company providing KEBS certification in India / Kenya PVoC certificate of conformity.